Most of the basics of the game engine is in place, so it’s time to flesh this game out into something more gamey. More content, more exploration, more things to do, and interesting combat! Once this update is out, there will only some tweaks, optimizations and code cleanups left to the core game before we can call it a full release. We’ve got a list of some 40+ things we want to add to the game, some small, some big. Some huge. We’ve finished a fair number of the items, but there’s still a significant amount of work left. 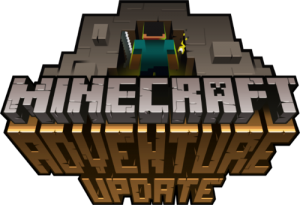 While I can’t reveal the date yet for various reasons, we do have a release date for the Adventure Update in mind, and we’re hoping we’ll be able to hit it. Jens and I are keeping the exact contents of the update secret, but we do leak some information every now and then to keep people interested and to stop us from going insane. For the most immediate spoilers, you can follow us on Twitter (@notch and @jeb_), or on Google+ (+Markus Persson and +Jens Bergensten). As soon as I can reveal the release date we’re aiming for, I will! Oh, and the modding support is happening, honest.